Field sobriety tests (FSTs) are commonly given by police officers in DUI investigations. Although you are not required to take these sobriety tests, most people do so when they are pulled over and investigated. All these tests, however, are designed for failure and are often unreliable to determine if someone is under the influence of drugs or alcohol. Therefore, retaining an attorney that understands how officers detect a person's alcohol level through standardized field sobriety tests, as well as non-standardized tests in order to beat drunk driving charges. What are Field Sobriety Tests? There are numerous field sobriety tests a police officer can give to a DUI suspect when they are pulled over and investigated for drunk driving. However, not all FSTs are created equal. If you were recently arrested for a DUI, the police officer likely gave you field sobriety tests. To ensure they were correctly administered to you, seek the advice of a DUI lawyer immediately. A qualified lawyer understands the proper administration of these tests and should be consulted when determining if you completed the requested tests correctly. If a Fresno police officer suspects a person to be DUI, the officer may ask a series of questions to the driver to see if the person will admit drinking. The officer may also ask to see a driver’s license, registration, and insurance paperwork. While the driver is locating these documents, the officer will watch to see if the person is able to follow instructions and perform the tasks requested. If the officer learns or has reason to believe the person has been drinking or under the influence of drugs or prescription medication, the police officer will usually require the person to step out of the vehicle in order to perform a series of balance and speech tests. These roadside tests are called field sobriety tests (FSTs). These FST tests are skewed because they are usually conducted next to a busy street or freeway, in the dark, and are not properly administered. 3) Medical conditions affecting dexterity, balance, or coordination. Law enforcement in California largely ignored the standardized FSTs and most continue to use whatever tests they prefer. All these tests, however, are designed for failure because they are usually conducted next to a busy street or freeway, in the dark, and are not properly administered. 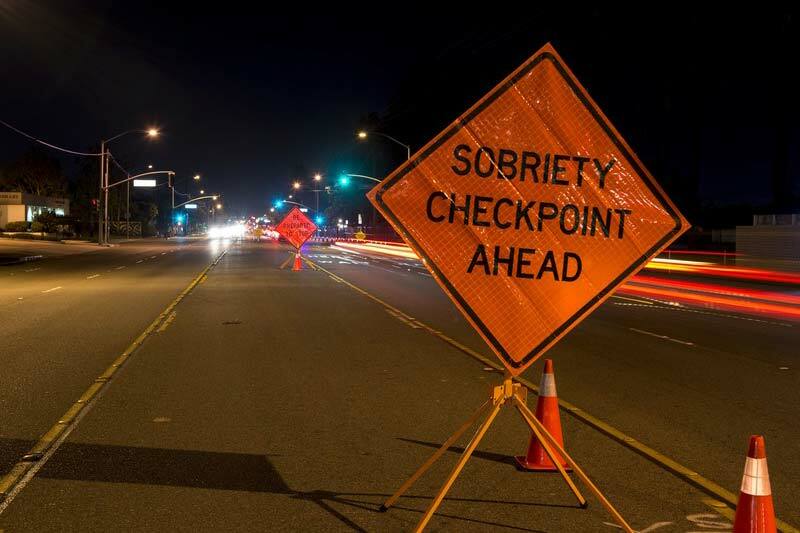 The National Highway Traffic Safety Administration (NHTSA) developed three Standardized Field Sobriety Test (SFST) to help a peace officer evaluate whether a person has signs of impairment in order to establish probable cause to arrest a DUI suspect. The three tests of the SFST are Horizontal Gaze Nystagmus (HGN), Walk-and-Turn (WAT), and One-Leg Stand (OLS). These three tests are part of the NHTSA training manual and are used by law enforcement that have received specialized training, as well as other officers that did not receive any such required training, so they can properly make evaluations as to whether the driver is intoxicated. In some cases, the police officer will give other tests, but there is no scientific evidence that other so-called FSTs are reliable in determining if a person is under the influence of alcohol. In each of these standardized test, there are clues, sometimes called cues, that the officer should use to determine if the person completed the test properly. These cues are evaluated and are based on each tests. When each field sobriety test is given properly, each of these tests can help law enforcement determine if a person is under the influence at the time of the test. Unfortunately, many officers have not been properly trained, do not use, or remember how to properly give the three tests of the SFST. As a direct result, suspected DUI drivers are wrongly accused of being under the influence. If you completed field sobriety tests, you likely performed another field sobriety test. The last test usually given by police is a roadside breath test, which is called a preliminary alcohol screening device or “PAS”. The PAS device is a hand-held breath-testing machine that determines the person’s blood alcohol level. This breathalyzer machine can be the same machine that is used for the evidentiary test, but it does not produce a written printout. The PAS test is widely used by police departments in order to determine if a driver should be arrested for a DUI. The use of the PAS device varies between officers, as well as between law enforcement agencies. For instance, some officers will obtain two or even three breath samples, while others will only perform one test. When this occurs, the result is not able to be verified to ensure the test result is correct. In very limited circumstances is a driver required to take the test. Although the driver is not required to take the test (unless he or she is under 21 years old and possibly on DUI probation), many drivers take the test to their detriment. Before you take the PAS test, the officer is required to give you an admonishment. Under Vehicle Code section 23612(i) If the officer decides to use a preliminary alcohol screening test, the officer shall advise the person that he or she is requesting that person to take a preliminary alcohol screening test to assist the officer in determining if that person is under the influence of alcohol or drugs, or a combination of alcohol and drugs. The person's obligation to submit to a blood, breath, or urine test, as required by this section, for the purpose of determining the alcohol or drug content of that person's blood, is not satisfied by the person submitting to a preliminary alcohol screening test. The officer shall advise the person of that fact and of the person's right to refuse to take the preliminary alcohol screening test. Unfortunately, the PAS test rarely helps the driver. For one, the test is given closer in time to the driving, as well as the time of drinking, so there may be mouth alcohol that will give the PAS an incorrect reading. Second, if the alcohol level is not .08, then the officer can begin suspecting a drug or other medication that the officer may not have suspected. As a result, the officer may require the driver to submit to a blood test. Third, if you submit to the PAS test, you are still required to submit to a breath or blood test. If you refuse, you could be charged with a DUI refusal and lose your license for at least one year. Lastly, in court, the prosecutor will attempt to get the PAS results into evidence and in some instances they will be able to do so. However, when the alcohol level is lower than the breath or blood results, the prosecutor will argue to keep them out so a jury will not see that your alcohol level was lower. As a result, you could be wrongly convicted even when your alcohol level was lower than a .08 percent at the time of driving. As you can see, if you are investigated for a DUI offense, you need to think long and hard about submitting to a PAS test. As with all field sobriety tests, you are not required to take the PAS test. If you have already taken the test, we can still work hard to get it excluded. If the test shows your alcohol level is lower than the chemical blood or breath tests, we will fight hard to get the evidence admitted to show your alcohol level was rising and therefore under a .08 percent at the time of driving. One of the best ways to defend yourself against the potential penalties of a DUI conviction is to retain an experienced DUI to show how the field sobriety tests are inherently unreliable. You want an attorney that understands the National Highway Traffic Safety Administration and how police are trained on standardized field sobriety tests. Because FSTs are subjective and are often performed incorrectly, we can mount a defense that will prove your performance on the tests do not support a finding of guilt in order for you to win your drunk driving case. When you are facing serious DUI charges, from a first offense to multiple offenses, we will determine whether causes other than alcohol may have contributed to any signs of impairment when you preformed the sobrierty tests. If there are problems with the police investigation, including the way the test was administered and performed, we will challenge the results of any field sobriety test, proving the tests invalid. Call now or complete the online form to receive a free, confidential consultation to discuss the field sobriety tests you were given before your DUI arrest. © 2019 - Law Offices of Tina M. Barberi, PC – All Rights Reserved. The information on this website is for general information purposes only. Nothing on this site should be taken as legal advice by a criminal lawyer for the law offices for any individual case or situation. This information is not intended to create, and receipt or viewing does not constitute, an attorney-client relationship.